With over three decades of performing, teaching and composing to his credit, Mark’s recordings have established his dedication to excellence in music. Ford’s solo marimba CDs, Stealing a Moment, Motion Beyond and Polaris, have become standards in the percussion world. His CDs have been described by PAS’ Percussive Notes as “beautiful, exceptional and virtuosic.” Mark has also recorded numerous concertos with the UNT Wind Symphony under the direction of Eugene Corporon. These include two DVDs and a CD with Japanese virtuoso marimbist Keiko Abe as well as the latest Wind Symphony recording, Contact, which includes Mark performing marimba/percussion concertos by Jennifer Higdon, Daniel McCarthy, Keiko Abe and Ford. As a composer Mark Ford has written popular works for solo marimba and percussion ensemble including Marimba Heritage, Head Talk, Polaris, Kingdom Lore Fanfare, Stubernic, Afta-Stuba!, Morning Light, The Surface of Life and Coffee Break (co-composed with Ewelina Ford). His Stubernic Fantasy Concerto was premiered in Poland (orchestral version by The Opole Philharmonic) and the Mid-West Band and Orchestra Convention (wind ensemble version by the Lone Star Wind Symphony) and has been performed on tour by the US Navy Band and the US Air Force Band. His compositions have been performed at universities and concert halls throughout the world and also featured on National Public Radio. His most recent works include Moon Chasers for solo marimba, IE2 written for the Ju Percussion Group in Taiwan and Pivot Point for saxophone quartet, marimba and cajon. Mark has recently collaborated with Pul Rennick on a marimba/snare drum duo titled Renfro. Author of two marimba books: Marimba: Technique Through Music, (Innovative Percussion, Inc.) and a new songbook for marimba, #MarimbaBaby (Musicon Publications), Ford’s pedagogical materials are used by percussion teachers and students throughout the world. 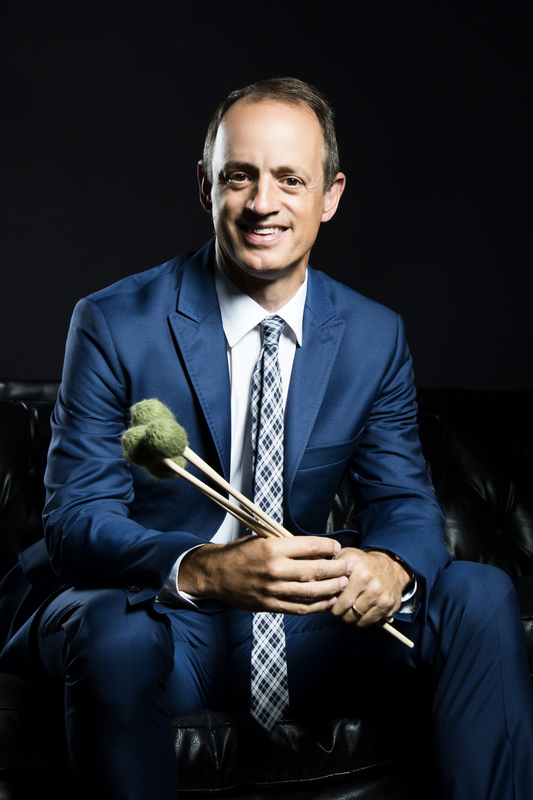 Ford has been recognized as a leading percussion educator, and his former students perform and teach throughout the country. Under his direction the UNT Percussion Ensemble has toured in Poland, Croatia, France and Belgium and also won the PAS International Percussion Ensemble Competition. Mark Ford proudly represents Dynasty Percussion, Bergerault, Zildjian, Evans Drum Heads, Meinl Percussion and Innovative Percussion Inc. as performing artist and clinician.